While I wait for some plastic models of Amtrak California cars, I have acquired a collection of Pacific Surfliner locomotives. The Athearn F59PHI's will be detailed and weathered in the hopes that they will eventually have full train sets to pull. 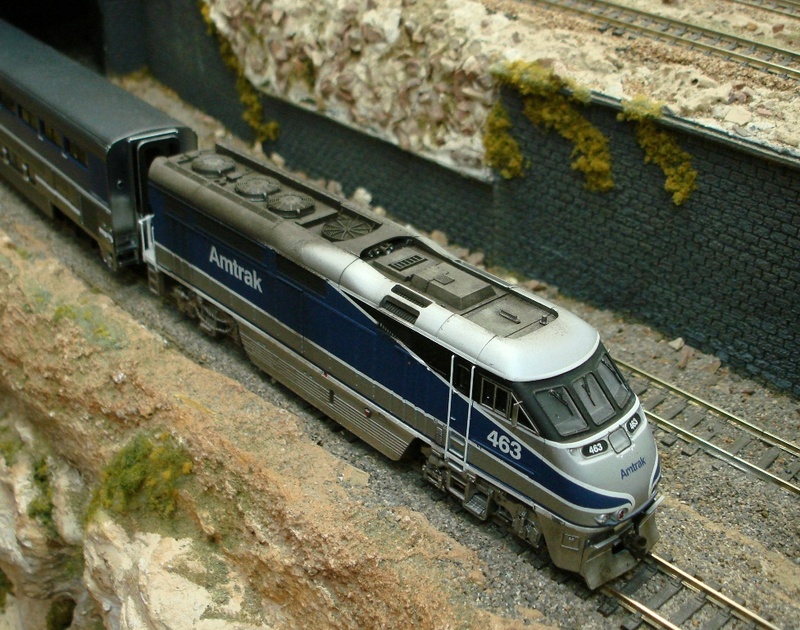 Amtrak 463 poses for photos after being detailed.